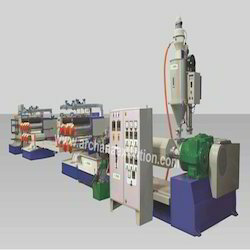 Providing you the best range of pp mono filament extrusion plant with effective & timely delivery. Our organization is well known in the industry for catering a distinguished segment of PP Mono Filament Extrusion Plant. These products are manufactured with the help of highly experienced professionals in accordance with the industry set standards. In addition to this, these offered products are made out from nitro alloy steel for long service life and error-free operations.